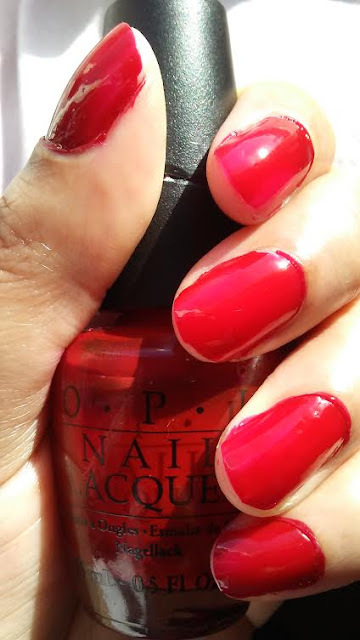 One day away from being Valentine's (or Galentine's ) Day and I decided to go with red nails to go with the festive theme, whether its a romantic day or a Girl's Night Out!! I have used this Opi red polish in "Vodka and Caviar" which cool red shade that works well with my skin tone and applied only One Coat to my mani and my pedi for an awesome DIY nail look!! I hope you have a wonderful Valentine's (or Galentine's Day)! Pretty! I see you are all set for Valentine's Day. 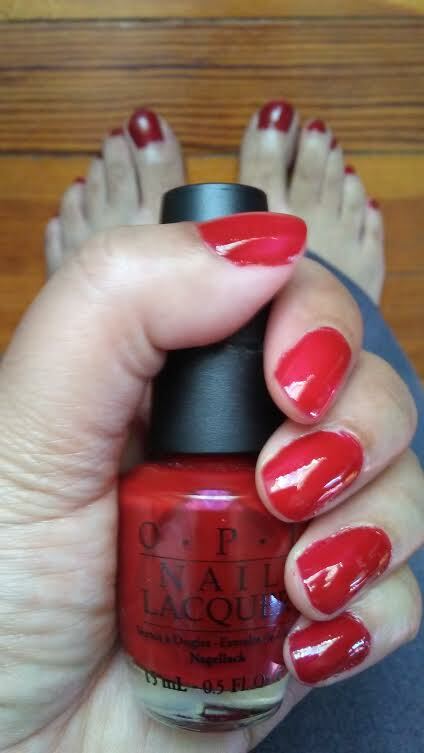 I also used a red OPI nail polish this week as well. But I bought a slightly darker red. Its called "Chick Flick Cherry" lol. How suitable! Thank you, Nyx! I was in romantic red mood so that's why I chose this color on my nails! That is a great red shade. I love the name of it, also kind of Valentine's Day right? Both Caviar and Champagne are romantic foods.